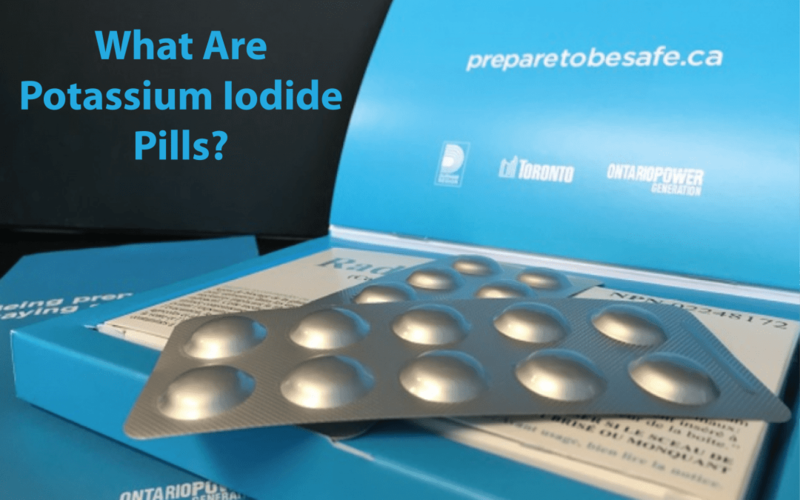 What Are Potassium Iodide Pills And How Would They Help? In 2015, potassium iodide pills were distributed to homes, businesses, and institutions (including schools) that are located within a 10 km radius around Darlington and Pickering nuclear power stations, in case of the unlikely situation of a nuclear emergency involving the release of radioactive iodine to the air outside of the plant. Homes and businesses located within 50 km from one of the nuclear power stations may request and stockpile potassium iodide pills, if desired. What Can Happen in a Major Nuclear Reactor Emergency? Nuclear power plants operate under rigorous regulatory requirements and have many built-in safety features. With all the protective systems and procedures in place, there is only an extremely small possibility of a major emergency at a nuclear reactor. If such an event were to occur, there is a chance that radioactive fission products may be released to the environment. One of the fission products that may be released to the air around a nuclear power plant is radioactive iodine. Once released to the air, radioactive iodine can be moved by the wind, entering areas immediately around the nuclear power plant. If people breathe air that is contaminated with the radioactive iodine, the iodine can enter our bodies. The human body needs to use iodine to function properly, and normally uses the stable non-radioactive form of iodine. However, since the human body cannot tell the difference between iodine that is radioactive and iodine that is not radioactive, it will incorporate radioactive iodine into the body in the same way that it would normally use the regular non-radioactive iodine. So, when we breathe air containing radioactive iodine, it will enter the blood and accumulate in the thyroid gland (where iodine is normally used by the body) unless precautionary measures have been taken. The radiation that is emitted from the radioactive iodine can cause exposure that can damage the thyroid gland. High levels of thyroid exposure can result in hypothyroidism or acute thyroiditis. Additionally, the more exposure to the thyroid from radioactive iodine, the higher the chance of thyroid cancer and benign thyroid nodules. The risk of hypothyroidism and thyroid cancer is higher for children who are still growing, than for adults. However, having the potassium iodide pills on hand is not going to be helpful if people do not understand their purpose or how to use them. Potassium iodide pills are pills containing non-radioactive iodine. By taking the correct dose of potassium iodide right before or during exposure to airborne radioactive iodine, a large amount of stable iodine enters the body and reduces or blocks the amount of radioactive iodine that is taken into the thyroid. This has been shown to be quite effective. By reducing the amount of the radioactive iodine in the thyroid, the radiation dose to the thyroid is reduced, resulting in a smaller risk of health effects. Are There Any Risks from Taking Potassium Iodide Pills? Short-term administration of potassium iodide at thyroid blocking doses is quite safe for the general population who have regular thyroid function. In Poland, after the Chernobyl incident, single-dose stable iodine pills were given to 10 million children and no serious side effects were seen. Some minor side effects were noted including gastrointestinal upset and minor rashes. 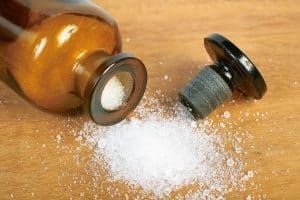 7 million doses were given to adults at the same time, with only two severe adverse reactions, both in persons with a previously-known iodine allergy. Persons who have a known allergy to iodine or thyroid disorders (e.g., Graves disease or auto-immune thyroiditis), should consult a doctor or nurse prior to taking potassium iodide. For others with normal thyroid function, taking a short-term dose of potassium iodide for thyroid protection during a nuclear emergency involving the emission of radioactive iodine, is considered safe and should not have any major health consequence. How Do I Know When to Take a Potassium Iodide Dose? Not all nuclear plant emergencies will result in radioactive iodine being released to the outside air. In fact, such an incident is quite rare. Ontario’s Provincial Nuclear Emergency Response Plan includes a notification process for residents and businesses in the area. The local Medical Officer of Health will direct residents when they are to use potassium iodide. This will be communicated to residents by many channels including radio, TV, the internet, and potentially direct telephone calls. Therefore, even though a person has heard of an incident at a nuclear power plant, they should not take the potassium iodide pills unless directed by public health officials. The pills work best when taken immediately before or as soon as possible after exposure. Taking the pills too far in advance will not provide any health benefit. The Canadian Nuclear Safety Commission (CNSC), the regulator over the use of radioactive material in Canada, provides the following table of doses for people, depending on their age and whether or not they are pregnant. If the medical Officer of Health has directed people around a nuclear power plant to take potassium iodide, the following table includes the recommended dose to take, along with the timing of doses. Will Potassium Iodide Pills Protect Me From Contaminated Food? If radioactive iodine is released from a nuclear power plant during a major emergency, eventually that airborne material will settle out onto the ground. If the radioactive iodine settles out onto pasture, for example, which is then consumed by animals, the animals can ingest the radioactive iodine into their bodies. People who then consume the animal or products from that animal (e.g., milk from a cow that ate contaminated grass) could take in radioactive iodine and be further at risk from the radioactive iodine. Administration of potassium iodide at thyroid blocking doses is generally only performed in the short-term to protect personnel from exposure to radioactive iodine when it is airborne, during the timeframe when there is a chance for persons to breathe in the radioactive-iodine-contaminated air. This period would generally last only about 24-48 hours. Protection of people during the later stages of the response to such a nuclear emergency, including the response to contaminated land, will be extensive and food control measures will be implemented. Potassium iodine consumption after the initial response is not recommended. Does Potassium Iodide Protect Against Other Exposures? Potassium iodide pills have been called “anti-radiation” pills in the past, but this is quite misleading. Potassium iodide pills ONLY protect against thyroid-related health consequences due to the exposure of persons to radioactive iodine. 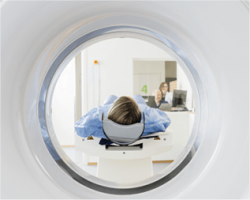 Find more information about Radiation Safety on our Blog. Find more information about our Education Services. Find more information about our Consulting Services.